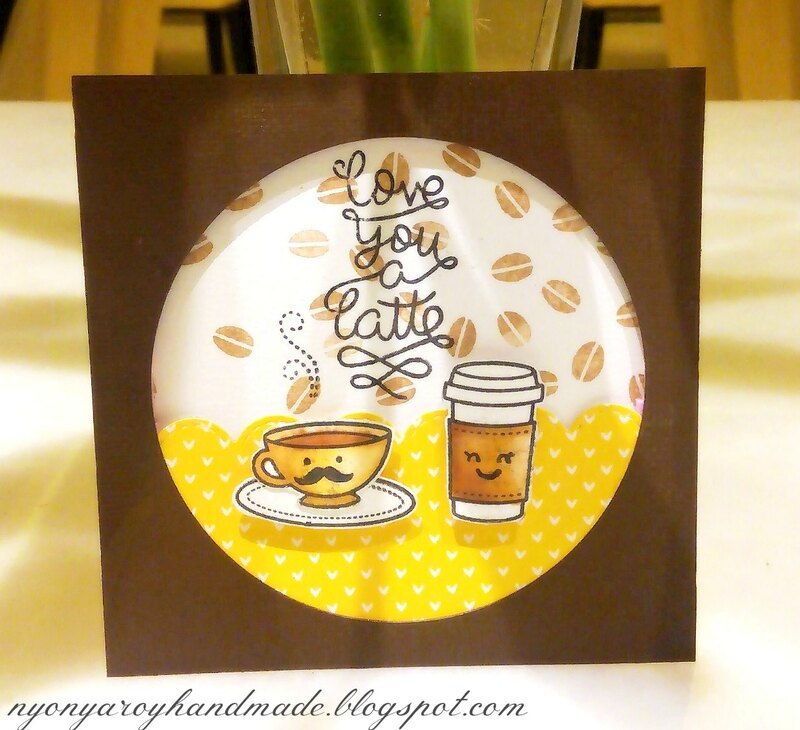 This is my first time Blog Hop. So, I would to say so sorry if I make fault or I mess the blog hop because my blog doesn't work. First, I still confuse with the time (I live in Indonesia, South East Asia). 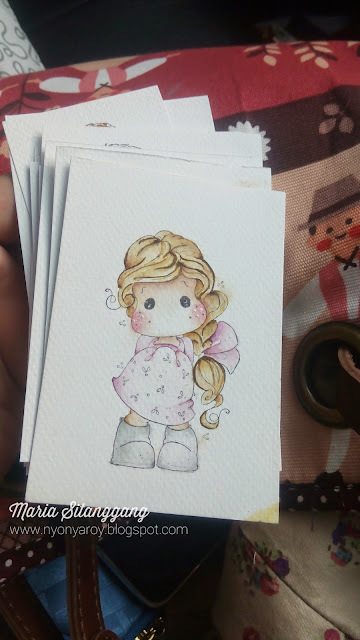 Third, one of my cards that I will upload here, I forget where is it. As I remember, I took it along with others. I love that card. I made it after many trial and error. 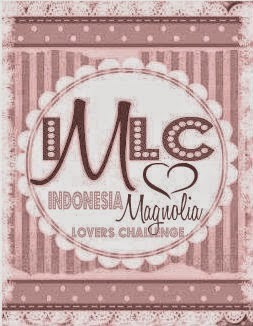 So...please please every one, I am sorry if you dissapointed with my blog hop, instead the other participants is expert. ( I'm not confident with my cards). Anyway, I am really exciting with this blog hop. I love caffeinne, especially coffee sooooo much!!! Since kids, I love it. 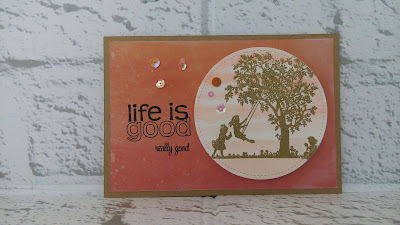 Long story short, I am happy participating this blog hop. And all of you, Readers..... 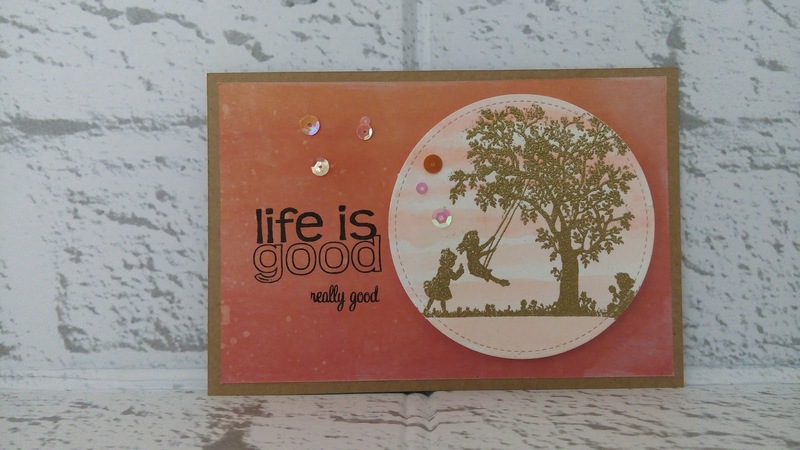 Here, many sponsors and PRIZES in this blog hop. You have the chance to win the PRIZES from sponsors by hoping one by one. And it's open until the end of the day on June 28th to get their comments we. We are Eastern Standard Time so 11:59PM EST, June 28th. 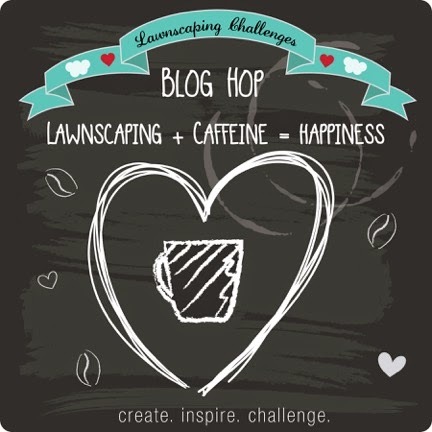 Winners will be announced on the Lawnscaping Blog . 2. 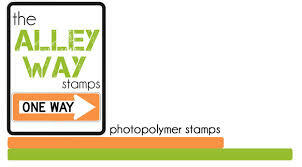 One stop shopping online store for our favorite supplies : Ellen Hutson They have new collections stamps...I want it! And..this is my card.. I used Love You A Latte from Lawn Fawn. I love this stamps. I often use it in my planner and this-and-that book. For this blog hop, I made simple tag and card. 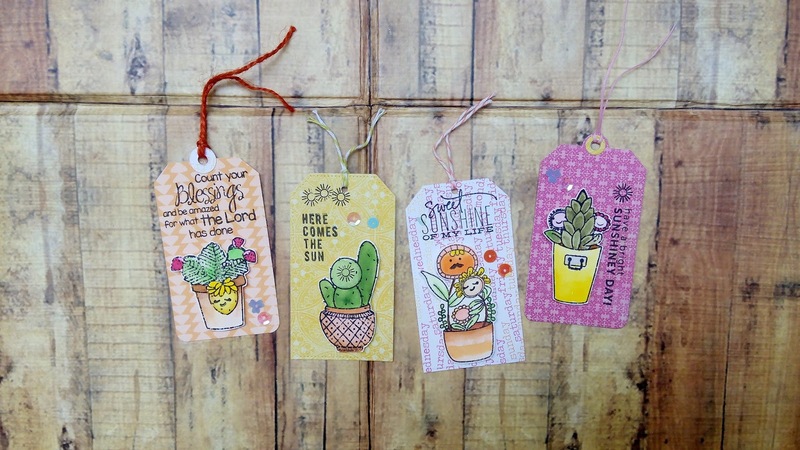 The supplies : Paper and stamps from Lawn Fawn. 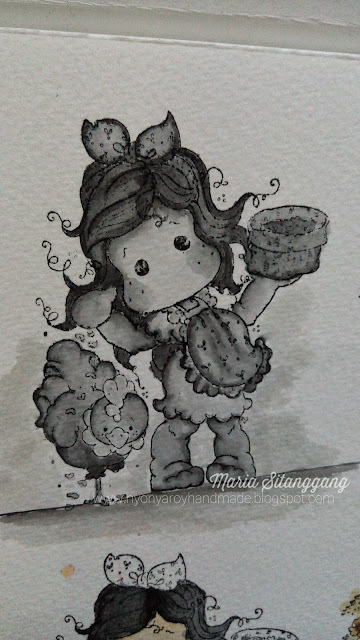 Coloring media : Versafine and Sakura Koi brush pen, blending with water. Paper : cardstock from Bazzil (brown) , Cansson (white) , pattern paper from Lawn Fawn. Pardon with my photos. Captured these photos in my hotel room, less light. Sorry dear friends, I'm not good with this blog hop preparation. 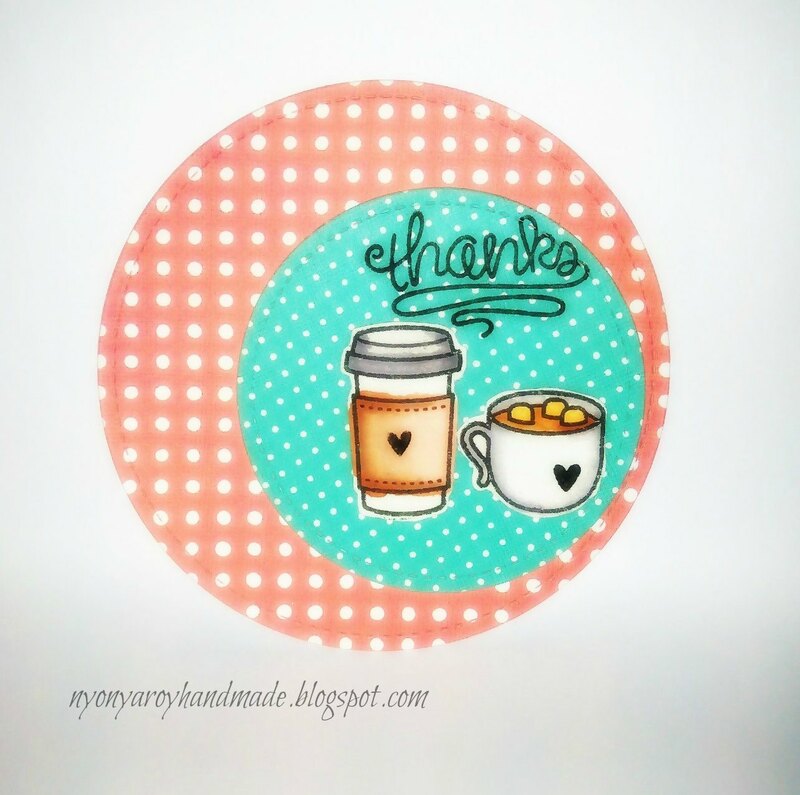 I promise, next blog hop I will give better. 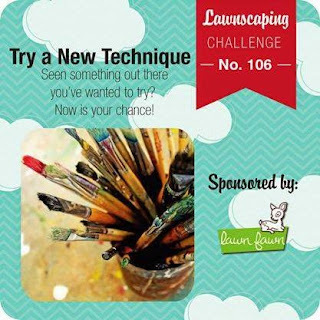 Thank you Laurel (you are so kind) , Lawnscaping , Sponspors and all of participants. Since participating some challenges, I feel become more creative and discipline... Yeayyy!!! This one, free hand drawing. 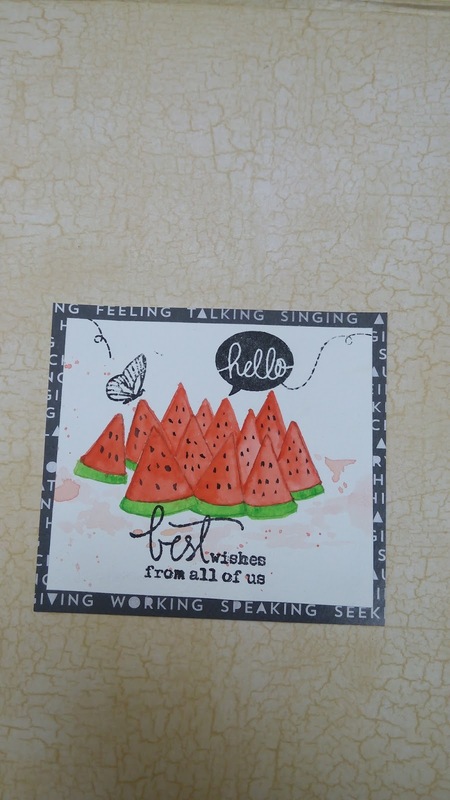 Theme for Day 5 is Fruit (watermelon). 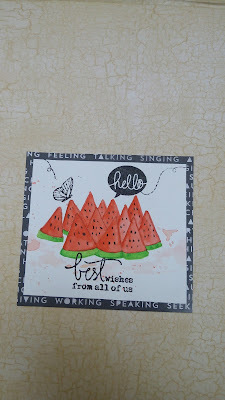 I don't have stamps of fruit, so I draw watermelon and I stamped sentiment for accent from Mama Elephant. 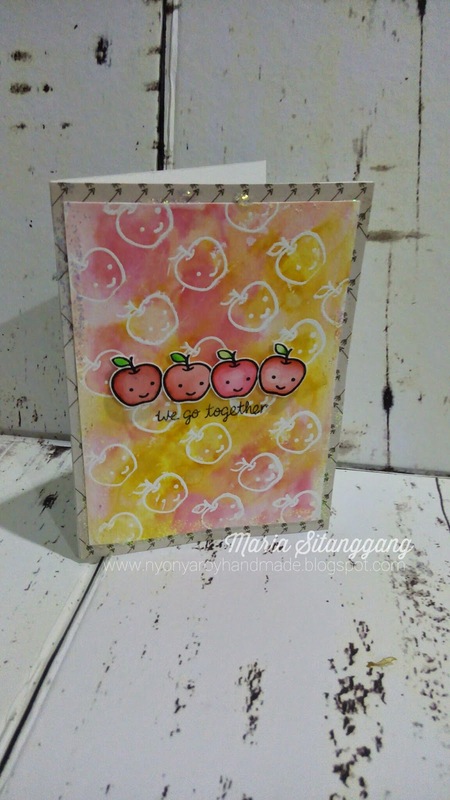 And I also make scrapbook page and mini album for this challenge. I wish, I still commit to make a project a day until the end of this challenge. And participating again the next odop or other challenges. This is my first time participate Lawnscapping Challenge. This time I try coloring with Neo Color II by C'Arandache. I never use this technique and this is fun! 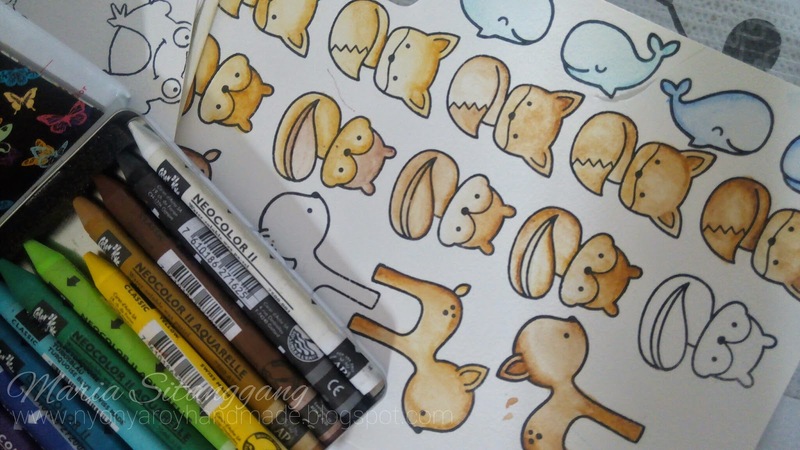 As a beginner, I don't have many colors distress marker or distress ink. So, coloring with Neocolor II is an alternative for my next projects. I made a simple layer card with Lawn Fawn set Into The Woods and Flirty Frames as an accent with sentiment . 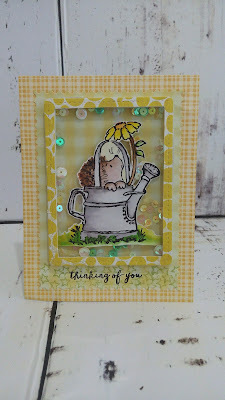 I stamped on a watercolor paper (as usual, I used Canssons) , stamped the critters with Memento tuxedo black, made a line with Neo color II in part of the critters then blended it water ( I used brush pen) in the same way when we use distress ink/marker. 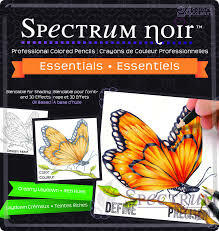 And it is really fun coloring with this crayons. Not too satisfied with the result, but I'm happy. 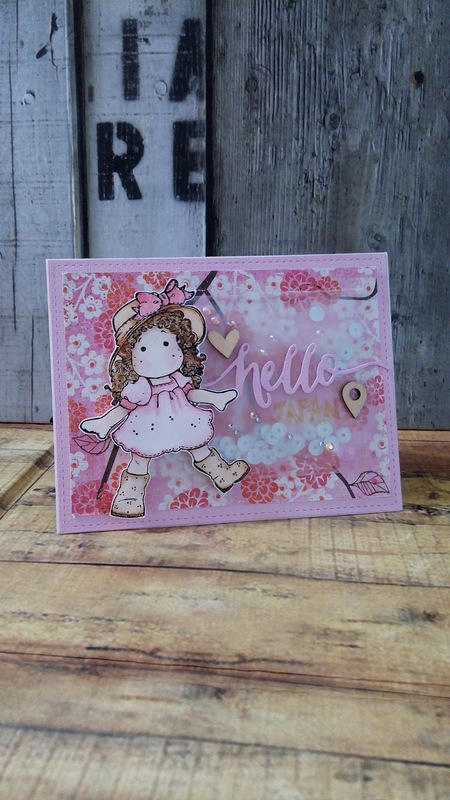 Will try this technique with other projects. And, I will be part of Lawnscapping Blog Hop June 24th. 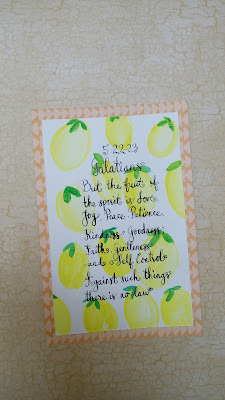 Lately, I am excited to participate card making challenge. I love CAS style in scrapbooking. 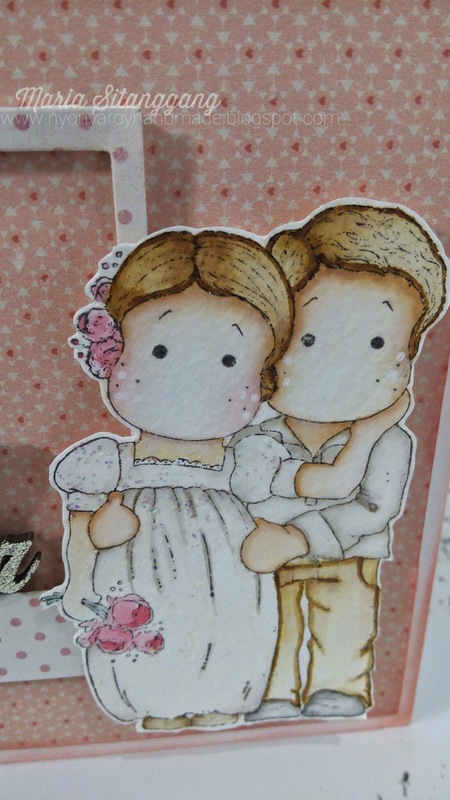 Now, in this challenge I try CAS style in card making with Tilda and Edwin. I wish, follow challenges could make me more productive. 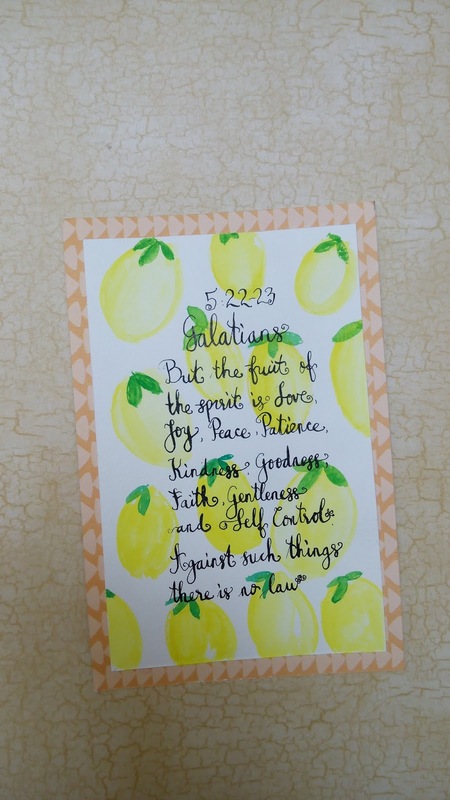 I actually really want to be a participant in last Lawnscapping Challenge with theme "watercoloring'. I used to not like her . Until I saw her at my friend's Instagram account last month... Suddenly, I am falling in love with her!!! Then, I bought some stamps in my favorite local online shop (Scrapwithlove Scrapbooking). And I took short course for coloring her with Mrs. Evi .